Surrogacy, a short word but a long way process. Time and patience always needed by an individual to pursue his life, and surrogacy is all about Patience. What comes when you hear the word Surrogacy? A woman who carries your baby in her womb till nine month of successful pregnancy, Is it? Yes, Surrogacy is a process where three individuals play important role in the entire step; these are the intended couple, a surrogate and none other than our specialists who take care of the complete procedure of surrogacy. Mumbai is the place where surrogacy has taken its own position. It is proved that where there is the question, there is the solution, and surrogacy is the ultimate band-aid of those couples who are seeking the best and a-1 solution to get rid of their infertility issue. Now we will have a description of Surrogacy mother in Mumbai, as mentioned above, a surrogate mother plays vital role in the procedure of Surrogacy. The entire story of surrogacy is dependent upon surrogate mother. Without the surrogate mother, surrogacy is impossible to achieve. Mumbai is a place where anything is easily achievable, and so you can go for your surrogacy procedure without thinking much. Surrogate mother in Mumbai has to qualify few screening tests conducted by Select IVF, one of the leading brands to entangle the issue of infertility. Select IVF not only disentangles sterility problems but also makes 100% efforts to get positive result from the treatment of any infertility matter. The first and most important factor of Surrogate mother Mumbai is her age. Actually, age always brings down the house of any infertility issue a crucial role. 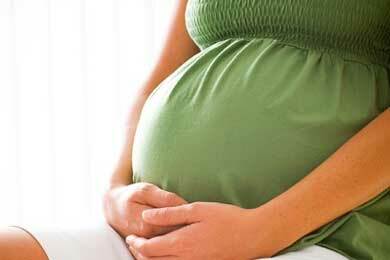 Let’s get to know the nuts & bolts of Surrogate mother in Mumbai. Before plumping for an appropriate candidate, each ART specialist clinics have to check the surrogates whether she is eligible to be a healthy surrogate or not. Few screening tests, which include hormonal tests, blood tests, reports of previous pregnancy etc., are performed by the clinics to select a fit and fine surrogate mother in Mumbai. She must be a mother of at least a single child (that means she must have had a baby without any complication during her pregnancy. Have qualified all the screening tests. Disease like Hepatitis B or c, HIV should not be there. These are some strict rules, which a surrogate required to qualify. If a woman meets the requirement of all above points, then that woman will be selected as a surrogate from the agency of surrogacy or ART proficient clinic. When all the doors are closed, then Surrogacy is that golden chance for an infertile partner to change her status from a couple to a blissful parent. A surrogacy is a procedure, which is fulfilled by the IVF ART technique, where intended couple gives their own eggs and sperms to achieve fertilization by the process of IVF (in vitro fertilization). Even the cost of Surrogate mother in Mumbai is also up to the mark and affordable for those sterile couple who are planning to opt for surrogacy.